The fifth running of the Chubby Cheeks 50k/marathon/JV (20 miler) is set for Saturday December 13th. We'll be sticking to the same format as always, with three routes and three separate start times, in hopes that everyone gets back to HQ sometime between 1:00 and 2:00 for brews, food and good times. Start times are 7:00, 8:00 & 9:00, so pick a time and a distance that is likely to get you back in good time for the after party at my house. There will be no course markings this year, so you are encouraged to print out the 50k map. A detailed course description is available here. Alternatively, you can hook up with a local who knows the course, but a map is still probably a good idea. The 20 mile and marathon routes have shortcuts to the Arthurs trailhead where we hope to have a bit of an aid station. For those running the 20 mile route, the shortcut comes at the T-junction immediately after you enter Lory State Park (12 miles or so, I think). The marathon and 50k go left up to Arthurs Rock via the Howard trail, while the 20 mile drops right into the valley on the Mill Creek Link trail. If you want aid you'll have to hang a left at the Valley Trail and run .1 up to the Arthurs aid station, from where you'll head back to the start/finish. The marathon shortcut comes after you summit Arthurs Rock. 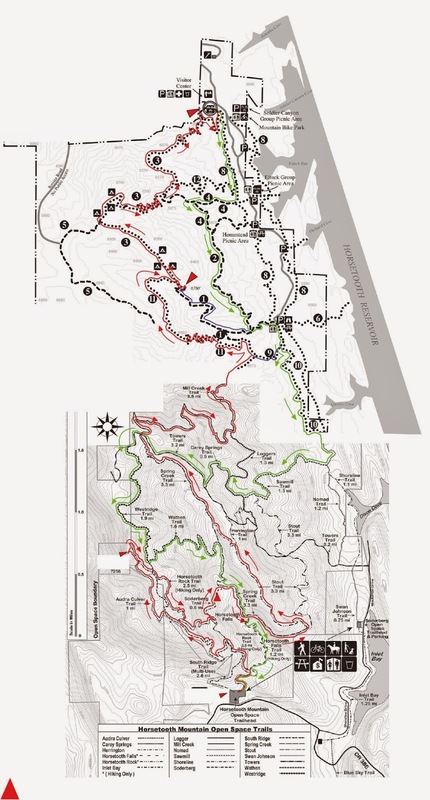 Instead of heading out on the Westridge trail to Timber, you will simply drop directly down to the Arthurs trailhead on the Arthurs Rock trail. It was outrageously cold last year, but the current forecast looks pretty good, so it could be a fast one especially given the total lack of moisture in the 10-day forecast and the currently snow-free trails. Bring a good attitude, some booze and food to share, and we'll see you next weekend! After a string of relatively successful 100 milers in the years between 2009 and 2013, I figured I'd got the distance dialed in and could pretty much show up to any race and have a good day on autopilot, but things started unravelling a bit this year, my 40th on this planet. Forty is a weird age. The average life expectancy in this country is less than 80 (I'm pretty sure), so statistically speaking you've pretty much crested the hill at 40 and physically you tend to start feeling those niggles lingering just a bit more than they did just five years ago. But at the same time most 40 somethings still feel vibrant, full of life and - at times - as giddy as a prepubescent teenager. Or at least this 40-something does. Through the prism of a runner's time-obsessed eyes, entering the 'master's' division presents interesting new challenges. Can I defy the law of averages? How long can I compete against kids half my age? Will I ever win another race? Will I still be running 20 years from now? Should I just focus on competing against others in my age division? Which races offer masters money? Should I use my master's standing as an excuse to just 'enjoy' running and not be so obsessed with trying to compete? Is it time to start mentoring and focusing on others with more talent, stronger drive and years of optimal performance ahead of them? These are just some of the questions I've had rattling around in my head this year, and I think the noise had an impact on my drive to succeed. 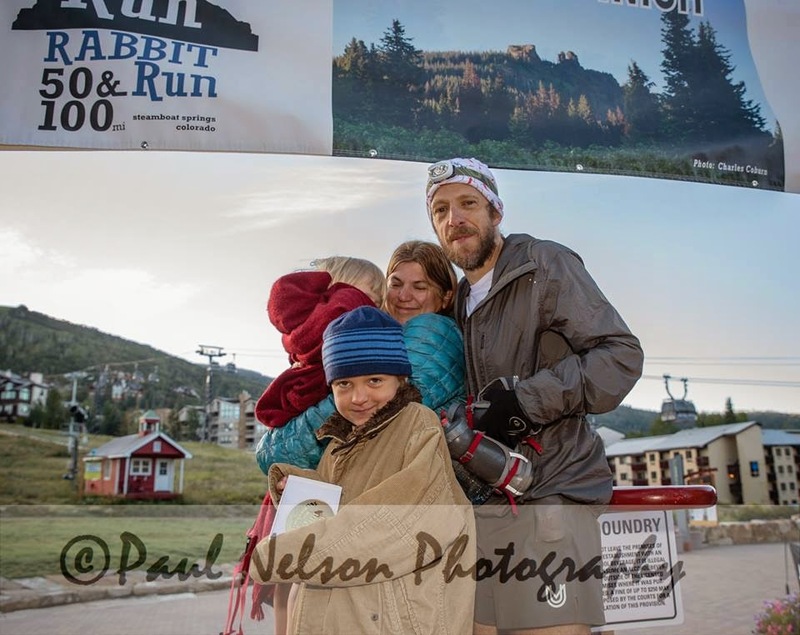 I turned 40 almost exactly one month before Western States and then proceeded to perform terribly there (after winning my first race as a master, I might add). That was a tough pill to swallow. Maybe I was over the hill and maybe it was time to retire to pasture, a racing afterlife of comfortable and well-earned jogging all the way into my 90s. But I'd committed to running the Steamboat 100, put on by my good friend Fred Abramowitz, and I wasn't about to renege on that commitment. I gave myself a month to wallow in self-pity post Western States, and then went about the business of figuring out what went wrong and how I was going to fix it. After a bit of reflection, the two primary reasons I came up with for failing at Western Sates were lack of conviction and a sour gut. The lack of conviction manifested itself both in training and on race day. I didn't have the drive in the spring to run the miles I knew that I needed to in order to be competitive. I ran a few token 100 mile weeks, but I just didn't have the desire to really stack those weeks up back to back over the period of a couple of months. This lack of physical preparation led to a downward spiral in mental belief, to the point that I found myself on the starting line in late June not really wanting to be there. 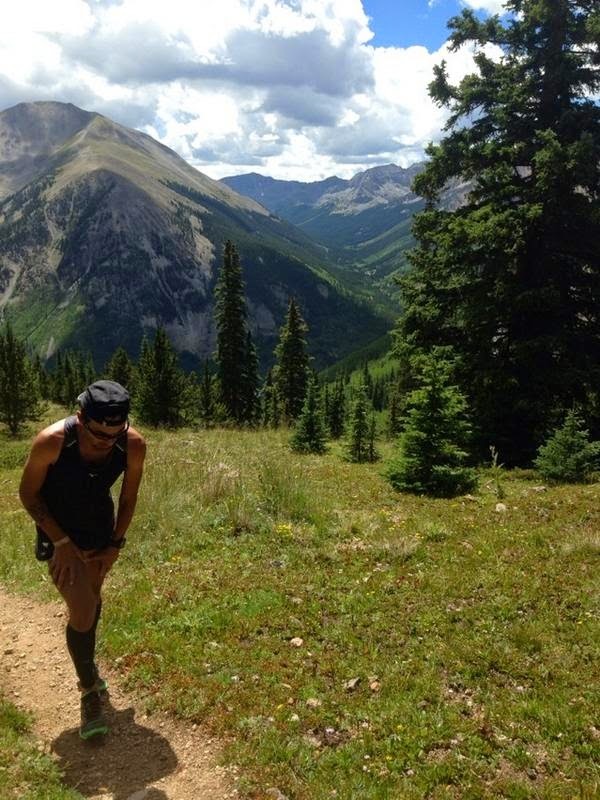 The outcome of my race was sealed long before I started puking on the way to the Auburn Lakes Trail aid station. The nausea was just a final nail in the coffin. But with the help of friends and family, I started digging myself out of my funk, and worked on building a mental foundation for Steamboat. The first rule I implemented was to respond positively to any questions related to the race. By telling others that I was looking forward to it, I managed to also convince myself. The second rule was to teach myself that nausea didn't have to be inevitable. Working closely with local dietician and accomplished ultrarunner Abby McQueeney Penamonte I was - for the first time - able to develop an in-race fueling strategy based on testing and fact, rather than guesswork and hope. The nutrition formula was pretty simple. After a half hour metabolic treadmill test conducted at 100-mile effort, I was able to ascertain what my in-race fueling needs were. Considerably less than the 200 - 300 calories per hour I'd been trying to cram down my throat in previous races, as it turns out. The results suggested that I burn fat very efficiently and as such don't need much more than 100 calories an hour to maintain respectable energy levels while performing at 100-mile effort. That's the equivalent of one gel an hour, and quite contrary to conventional ultrarunning wisdom that mandates forcing a gel down your throat - come hell or high water - every 20 minutes. I'd tried that and it didn't work. Not long before Steamboat, a friend sent me a link to a blog post that Pam Smith - of Western States fame - had written earlier this year. I have an immense amount of respect for Pam, but nowhere near her work ethic when it comes to figuring out - and implementing - the science behind performance. So it was with much glee that I read her article recommending a nutrition strategy based on limiting caloric intake to levels well below that held as gospel in the ultrarunning community. My plan to not start consuming until at least two hours into the race was also given the nod of approval by Pam. There was even advice on post-puke strategies, but I was committed mentally to not puking so I filed that one away in the contingency drawer. The other part of the puzzle was to keep effort levels firmly under control. There is a direct correlation, I have found, between effort level and your gut's ability to process fuel. I was bound and determined to keep things casual all day and all night at Steamboat. My whole family had come out for this one, including my parents all the way from England. They had last watched me do the 100 mile thing at UTMB in 2011, where I registered the only DNF of my ultrarunning career. I absolutely could not let this one spiral out of control. Discipline was required. So it was with much alarm that I found myself at the front of the field with good friend Zeke Tiernan as we crested the opening 3,500 foot climb of the day. "This feels easy right, Zeke? We're not being stupid here ... right, Zeke?" I'd look back a few switchbacks and see the rest of the pack, but knew that if I moved any slower I'd start tripping over rocks. The effort was fine; everyone else was just being ridiculously cagey. As we transitioned to rolling singletrack, I dropped Zeke and found myself solo at the front of the field. I didn't let it bother me though. My breathing was super controlled and the effort was way easier than it is has been at Western States and other 100 milers, so I rolled with it, popping an 80 calorie peanut butter pack exactly two hours into the run. "This is easy, right Zeker?" Outside of this initial peanut butter pack - taken so I wouldn't have to carry a filled second bottle up the initial climb - the plan was to subsist on starch-based carbohydrates delivered in liquid form. Pretty much mumbo jumbo to me, but it had worked to a degree in the past and I believed that it was going to work at Steamboat if controlled to 100 calories - or one scoop diluted - per hour. Simple. With the help of pre-mixed bottles in drop bags and at crew locations, I was able to transition between aid stations without having to fumble around with baggies of powder - the curse of liquid nutrition strategies. "To puke or not to puke? That is the question." Prior to 2013, when the puking floodgates opened at Leadville, I had been firmly in the camp of puke avoidance at all costs, typically being able to get by on coke when things starting turing sour. 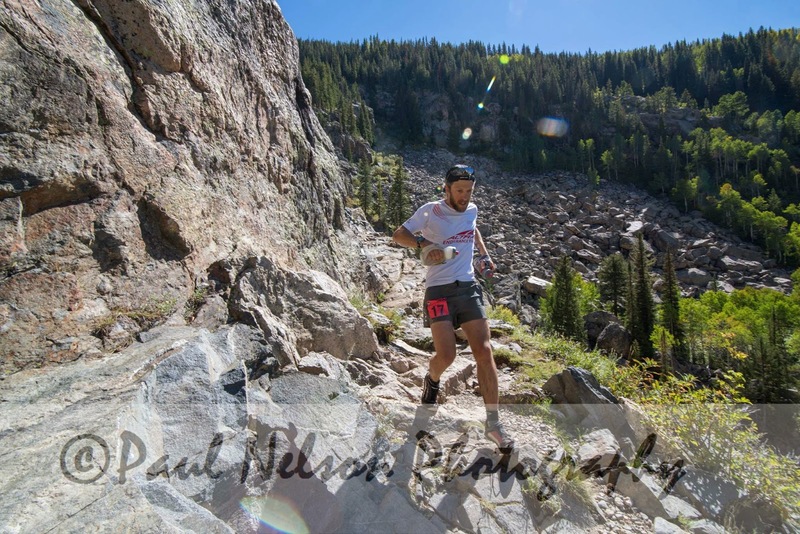 However, an eruption at mile 88 on the Leadville course, some 50 meters down the road from May Queen, had put an end to all that, and I moved from a history of never having puked during a race to almost incorporating it into the game plan. 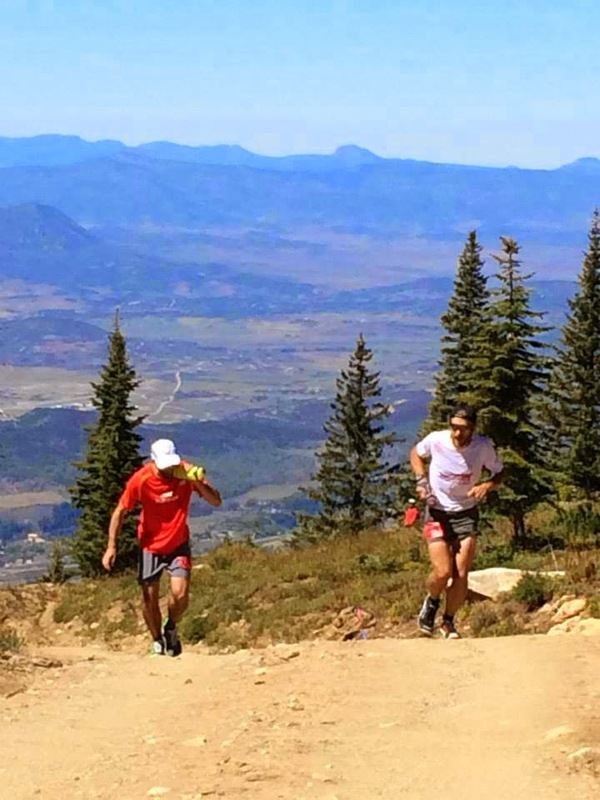 I proceeded to spill my guts again at the base of the Boulevard - mile 96 at Leadville - then twice at the Wasatch 100, endlessly at UTM Fuji, and then again at Western States. I was on a four-race streak. And it sucked. Seven hours and 40 miles into Steamboat and the gut was still shipshape, though. I had stuck religiously to the plan, and while I had been swallowed up by a pack of seven other runners at the front of the field, I was elated to be in the race and consuming without concern. I wouldn't describe my energy levels as particularly perky - the formula needs to be tweaked - but I was running. The lack of pep was exposed on the long climb in the dark back up the Fish Creek Falls trail, where for the first time I lost contact with the front of the field and found myself running in fourth or fifth. Fish Creek on the way down and in the lead. At the top of the climb at Long Lake, I decided I needed something solid to placate my growling stomach, so I consumed a small cup of ramen, careful not to get carried away, and then proceeded to enjoy the very gradual dirt-road climb out to Summit Lake, passing fellow master Paul Terranova along the way. This left just Rob Krar, Josh Arthur and master-inspiration Jeff Browning ahead of me. The 4,000 foot descent to the Spring Creek Ponds aid station at mile ~70 was a long one, but uneventful and controlled. My stomach was still intact, I was consuming and I wanted to keep it that way. I allowed myself another small portion of ramen at Spring Creek before beginning the long climb back up to Summit Lake and Buff Pass. A few miles out from the return to the Dry Lake aid station (mile ~75) I begun to find myself hiking sections that I knew I should be running, so I decided that as my stomach was still feeling good I'd allow myself another bowl of ramen to supplement the liquid fuel and to see if I couldn't re-stoke the furnace. Unfortunately, I ate too much and on the ensuing seven miles of uphill gently graded dirt road to Buff Pass I had to drop the effort significantly and found myself walking long sections (slowly) in a bid to give my stomach the time it needed to shake the nausea. The familiar puke/no puke internal dialog kicked back into gear, but I was determined to buck the trend and make this a no-puke outing, even if it meant giving up places against the rest of the field. Finally near the top of the climb, the nausea abated and I was able to get back about the business of running and racing. Unfortunately, I had consumed nothing over the span of the last two hours, so energy levels were low. At the toasty Summit Lake aid station, I nibbled on a grilled cheese sandwich, pleased that this was even an option and making sure to exit the aid tent quickly enough to avoid losing the body heat that I would need to get me through the next section of rolling and high-altitude trail. The outside temperature had become legitimately cold, so I was definitely motivated to keep a warmth-generating effort going. Nonetheless, I knew that I'd probably given up any chance of catching third on the slow climb to Buff Pass. Unfortunately I was producing a good amount of heat while still allowing for lazy breaks of hiking on stuff that I should have been running. By mile 96 (of 107), I had given up fourth to a charging Ryan Ghelfi, who was running impressively at his first go at the distance. He left the penultimate aid station, a fourth visit to Long Lake, as I was entering, but I didn't have a whole lot of fight in me. The mission for the day had been to run my race and complete it without any massive blowups. I think I achieved that. And while I didn't close the final 20 miles with the kind of fight and focus I would have liked to have done, I was happy to still be nipping away at my fuel and getting the job done with over 100 miles completed. Descending the final 3,500 feet into the finish at the base of the ski hill, I was generally happy with the way the race had played out. I had broken the puking spell, I had remained largely positive the whole way around, and I had rekindled my belief in my ability to run 100 miles at a reasonably competitive level. Oh, and I had made a bit of cash in the process too. A good day at the office, with a nutritional foundation to build from, and a renewed - if still tempered - sense of purpose for the South Africa Sky Run in November and then further afield to the 2015 season. Thanks to everyone who believed in me this summer and especially those who helped convince me that I still have a few good races left in me, and then helped me make the practical changes needed to achieve that. Mon - Noon: 9.5 miles (2,500) easy. A Horsetooth summit (134), then some scrambling heading north on the ridge to connect with the high point on the Westridge trail. Felt really good today. PM: 6 miles (500') easy. Jogged out an initial three miles, then came back hard at a progression effort. Tues - Noon: 6.5 miles (1,700') steady. Horsetooth (135) at a steady 50-mile effort. PM: 6 miles (500') tempo. On the Valley trails again from Soderberg. Easy opening mile, then progression to 5k effort. Feeling kinda spry. Weds: 7 miles (1900') easy. Horsetooth summit (136), back via Wathen. Thurs - AM: 5 miles (1,500') easy. Casual jog up to the top (137) with Lee early morning. PM: 8.5 miles (1,500') easy. Led a Black Squirrel Half Marathon training run from Timber. Fri - 12 miles (2,500') easy. Horsetooth summit (138), then around on Westridge, Mill Creek, Loggers, Stout, Spring Creek. Nice and steady and really feeling pretty good. Sat - 8 miles (2,000') easy. Horsetooth summit (139), then some tooling around on the ridge rocks before heading down Spring Creek. Sun - 18 miles (8,500') bagging. Never Summer Traverse with Cam. Just an awesome line in some killer hills. Mon - 6.5 miles (1,700') easy. Jogged a lap on Horsetooth (140). Tues - 8 miles (1,900') steady. Knew I wasn't going to make the evening's track workout, so went hard on Horsetooth (141) via Audra and then back down on Wathen. Weds - 9.5 miles (2,000') easy. Horsetooth summit (142) and down on Westridge/Spring Creek. Thurs - AM: 10.5 miles (1,200') steady. Early morning outing on Blue Sky with Lee and Slush. Came back at a tempo effort from Rim Rock junction over the last 3.5 miles. PM: 7 miles (1,700') moderate. Had intended to fully jog Towers, but found myself warming into the run about halfway up the hill, so kept things steady from there to the top. No watch, but somewhere in the 33-34 range. Fri - 7 miles (1,700') easy. Jogged out an easy summit of Horsetooth (143). Sat - 24 miles (6,000') at 100-mile effort. Out on the local trails for a Horsetooth - Arthurs- Horsetooth (145) yo-yo by way of Audra - Westridge - Mill Creek - Howard - Lory Westridge - Arthurs Rock - Valley - Sawmill - Loggers - Herrington - Towers - Herrington - Spring Creek - Wathen - Rock - Audra - Southridge. Fun, steady and confidence-building morning. Practiced keeping right on 100 mile effort, fueling and maintaining mental focus. Felt supremely comfortable the whole way around. Really starting to get my head in the game for Steamboat. Sun - 10 miles (2,500') easy. Ran with Sarah early, nursing a slight hangover from moderate overindulgence at Alex and Nora's weeding the night before. Sweated most of it out early, then enjoyed a nice social cruise with Sarah, who I hadn't seen in a while. Always good to catch up. Horsetooth (146) - Westridge - Spring Creek. So, mainly some jogging around in the local hills with some fun peak bagging outings thrown in along the way. I've really just been trying to get into a rhythm of daily vertical and consistent running without worrying overly about total mileage, which is way down on my volume from years past. But that doesn't concern me. The major concern for Steamboat is getting the effort level correct for the full 100 miles, which in concert with some pretty significant tooling to my nutrition strategy (working closely with Abby McQueeney Penamonte over the last six weeks) should hopefully have me finishing the race on a strong note. By no means am I going to be setting the ultraruning world on fire out there, but that's not the goal. The goal is to complete the race in the fastest manner possible, which for me means slowing way the hell down over the first half and hopefully staying consistent over the back half. Confidence levels are getting back up there, after pretty much being ready to throw in the towel post Western States. Enjoying some taper time right now. The Never Summer Mountains. Ah, yes, the name alone makes you want to get out there and get stuck in. 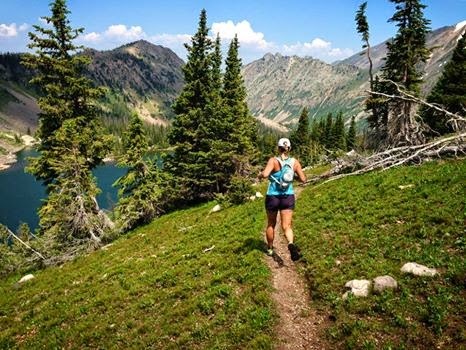 Catch sight of the magnificently jagged peaks and ridgelines that constitute the 14-mile range and the siren call gets just a little louder. Pick up a map and feast on the north-south spine that runs from Cameron Pass in the north to Baker Gulch in the south, and you're all in. At least I was. But despite the obvious aesthetics of the line, very few others have attempted it. Indeed, I could only find interweb evidence of two full traverses, one by the legendary Colorado alpinist Bill Briggs and partner Bart Miller in 1994 (10:45), and one a little more recently by Lisa Foster (24 hours), the authority on obscure (and less obscure) routes in Rocky Mountain National Park. However, for reasons inexplicable to me, both parties had chosen to forego the Nokhu Crags, the dramatic northern bookend to the range, on their ridge runs in favor of dropping east to Thunder Pass. To me, the line demands an ascent of Nokhu. And so it was that I found myself rudely awoken in the back of an old Subaru Legacy, with partner Cam Cross, at 2:15 on Sunday morning under the moonless shadow of the emblematic spires of the volcanic Crags. The early morning plan was simple: hoof steeply for the northeast ridge of Nokhu, ascend to the spires, then tuck in behind Cam - a former Estes area mountaineering guide - who had conveniently scouted the first four peaks of the route a few weekends prior. Some 2,300 feet and 80 minutes later, we found ourselves somewhat trivially on the peak. Despite the horrendously loose nature of the rock on Nokhu, there exists a largely solid route to the summit by way of a series of gullies. I would provide the beta, but to be truthful I was no more than a passenger following closely behind the beam of Cam's headlight. Cam Cross. It was windy out and I had a fairly serious case of goggle envy. The Crags: basically a slag heap. But picturesque from certain vantage points. At four in the morning on a moonless night, there were no views to be had, so we quickly descended our ascent gully and contoured west and south across a series of loose and steep scree fields, negotiating around the western base of the spires until we finally found ourselves on something a little more solid under the southernmost spire of the Crags. From here, our route would head directly south by way of 10 more peaks on the knife-like ridge that defines the north-south spine of the Never Summers. Another 80 minutes later, and after more very loose ridge negotiation, we were on the summit of Static Peak, an appealing triangle of a bump on the ridge between Nokhu and (the Baron von) Richthofen, the high point of the Never Summers. Despite its prowess as the highest and perhaps most visually appealing summit in the range, Richthofen is in fact a very easy get when ascending from the north. Somewhat appropriately, I think, the sun was also making its first appearance of the day as we made our way up the Baron's north ridge, unveiling the striking beauty of our surroundings from on high. And while the winds were definitely stronger than we would have liked at a steady 20 miles per hour, we both agreed that things could have been significantly worse. After a brief jog west to Richthofen's sub-summit, I made the executive decision to forego the loose ridge under (what would turn out to be) Tepee Mountain, for easier grassy ledges some 100 feet below. Erroneously, we were under the assumption that the large triangular peak directly in front of us was Tepee, but alas we ducked under Tepee which in fact sits slightly off the ridge to the east, not far from Richthofen. What we thought looked like a triangular tent-like formation was in fact no more than a sub-summit of Lead Mountain despite its dramatic look. Early rays lighting up Lead Mountain. The triangular peak in the foreground was what we had incorrectly thought was Tepee. The ridge to Lead Mountain from under Tepee. A moody Lead Mountain with the beautiful Hart Ridge behind, connecting to Mount Cirrus. Tepee is the spire off to the right of the main ridge, under a dominant Mount Richthofen in the top right of the frame. This view is from the summit of Lead Mountain. Mahler, an outlier off the main north-south ridge connects to Richthofen to the west (left) on precariously loose rock. Following a fairly significant goat trail across ledges and scree we were soon back up on the ridge and tagging Lead's sub-summit before heading directly for the slightly higher Lead itself, following the very steep western summit slope on frosty rock and into heavy winds. Cam had stashed provisions here on his scout a few weeks prior and we enjoyed a nice 10-minute repose on the leeward side of the peak, camel'ing water and munching on dried apricots, now 4:45 into our morning. The 10 minutes on Lead had left a little lead in the old pins, and shortly thereafter on the heavily bouldered and steep descent to Hart Ridge, I caught a toe and supermanned shin and knee first into some very unforgiving granite clinging onto a boulder by an arm that was now out of socket at the shoulder. Ooof! The ball was easily popped back into socket, however, while the throbbing from my lower leg was reduced to dull background noise some 10 minutes later, now playing in concert with the low-grade headache that was thumping around in my skull after five hours of effort above 12,000 feet. Fun indeed. Hart Ridge is a long, sweeping and dramatic connector between Lead Mountain and Mount Cirrus - the first of the cloud peaks, which sits high above the aptly named Lake of the Clouds. We were expecting heinously loose rock on our way to Cirrus along the bumps of Hart Ridge, but were in fact pleasantly surprised by the relatively stable nature of the talus. We stayed largely on top of the ridge with a few forays to the gloriously quiet (and sunny) leeward side, as the terrain dictated. Yes, most things moved, but mainly in a rocking motion rather than a more menacing collapsing motion. And so it was that we found ourselves tagging Cirrus just 65 minutes after leaving Lead, now 5:52 into our morning and already starting to get a whiff of the barn with a majority of the tougher and looser sections of ridge behind us. Lake of the Clouds under Howard's east ridge. Howard was next in line and it was something of a gimme, with some tundra at the saddle that actually allowed us to open our stride for a while. From Howard, the impressive looking Cumulous loomed a mile and a half down the ridge. This would be our last long connector, but once negotiated we would be looking at a relatively benign three-peak cruise into the finish on rock that was getting progressively more predictable by the peak. Across the bumps that connect Howard and Cumulous we stuck pretty religiously to the ridge and nearly always found a non-technical route through. Once we hit the upslope from the low point on the ridge we started to shred on spots of tundra on the eastern side of the ridge, which was now intermixed with increasingly reliable rock. Things were starting to click nicely into gear and it was beginning to look like we'd be close to hitting our 10-hour target and 12:30 rendez-vous with Dana at the Baker/Bowen trailhead. The north face of the Cumulous summit ridge. Cumulous done, and with three peaks remaining we were officially smelling the barn on terrain very reminiscent of the bricky, solid and fast (relatively speaking) talus of the Mummies. And so it was that we whipped through Nimbus and Stratus before grunting out the final push up Baker, the end of the line before the descent into Baker Gulch. Nimbus, with southern Never Summer Peaks behind. Stratus and Baker from Nimbus, both of which we'd tag in a little over three-quarters of an hour. A quick fist bump on Baker and we were off to the races, unleashing a fun 2,200 foot descent on the southwest slopes of Baker down to the Michigan Ditch and the Baker Gulch Trail for the ~3.5 mile run into the finish at the Baker/Bowen trailhead some 10 hours and two minutes after we'd started. Cam checks the watch as he hits Baker, our final peak on the morning, 8:56 after departing from near Cameron Pass. Stratus and Nimbus sit behind. Although we had steady winds all morning, we both agreed that we'd dodged a weather bullet. The forecast had called for rains Saturday night, which never came, and for gusts of up to 50 miles per hour on the morning. We may have seen one or two gusts up around that mark, but really the wind ended up being more of an annoyance than a hindrance. The Never Summers have a reputation for being inordinately loose and chossy, and indeed they are, but the reality on the ground was a lot less treacherous than we had been preparing ourselves for. 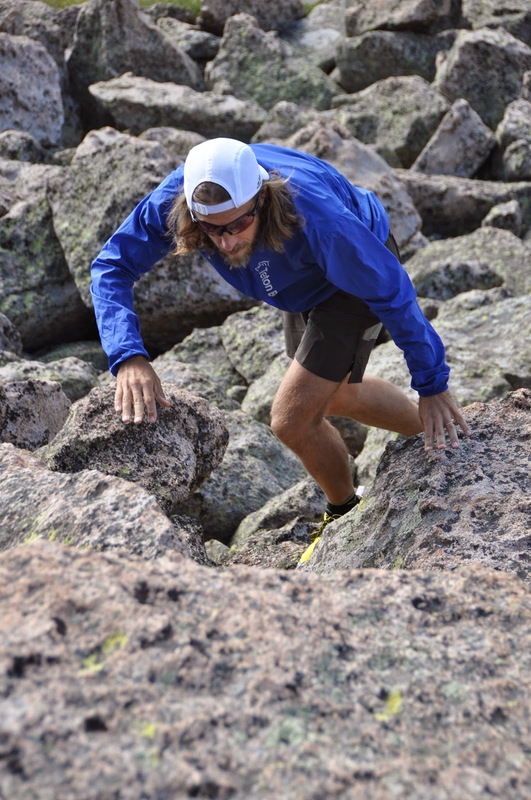 The route still demands a sustained level of focus, and absolutely no technical hand hold or foot placement should be trusted without first being tested, but this is an incredible line on one of the most inspiring ridges that Rocky Mountain National Park has to offer. Get after it! Mon - 6 miles easy (500'). Felt a little off today, so just jogged things out on the Valley Loop to Arthurs from Soderberg. Tues - AM: 5 miles (1,500') easy. Jogged an easy lap of Horsetooth. PM: 6.5 miles track. Workout was 1,200 open followed by 12 x 300 relay repeats w/100 jog between each interval. I came in with the intention of taking these easy, but predictably enough started getting competitive as the workout went on and the back and forth between me and Sarah, and Lee and Garcia starting playing out. Sarah would lose ground to Garcia and then I would pick it back up against a slowing Lee. Came down to the final rep, where I was able to out-lean Lee into the finish. Fun stuff, but I tweaked my knee in the process. Doh. Weds - Off. Gave my knee the day off after overextending it at the track. Thurs - AM: 10 miles (1,400') moderate hill tempo. I had wanted to get a good tempo done on Centennial Rd this morning, but I played it safe with my knee and decided to up the return tempo just moderately. PM - 5 miles (1,500') easy. After heavy rains, the Soderberg trailhead was closed to foot traffic so we relocated the biweekly Towers Time Trial to the upper lot for a go at Horsetooth. Still concerned about my knee, I invited Alistair out to join the group to see if he could better his Horsetooth PR of 45:30. He seemed pretty motivated, so we got after it from the gun and he tore up the mountain in 39:37 for a huge six minute PR. It was super fun to watch Alistair run with a group like this. Adding to the fun, we saw a bear on the way back down, before Alistair let rip dropping me and my dodgy knee in the process. Horsetooth TT group. PR for Alistair. Bear sighting on the way back down. Fri - 7 miles (1,800') easy. Jogged out a nice easy Horsetooth to test the knee and things felt good. Sat - 6 miles (2,500') hiking and bagging. Drove up to Cameron Pass with Abby Saturday afternoon in preparation for a tour of the Never Summer route on Sunday. With the late start, we kept things reasonably short and accessible. Starting at the Cameron Pass parking lot, we headed out on the Ditch Trail for just a half mile before bushwhacking steeply for Table Iron Mountain (12,060'). Breaking above the trees, the craggy and cliffy west face looked intimidating, but we were able to negotiate to the north with little difficulty. As the name suggests, the top was flat and red. From Table Iron it was a simple traverse over to Iron Mountain (12,265'), from whence we dropped back down to the saddle and then dropped back to the Ditch by way of a couple of steep, wildflower-chocked drainages. Fun route. Richthofen, Static Peak and the Nokhu Crags (12,485') from Iron Mountain (12,265'), with 'The Electrode' as the high point on the ridge leading to Static between Richto and the Crags. Sun - 46.5 miles (10,500') long. The original intention for the morning was to run the full Never Summer 100km loop, but I ended up cutting it short at 46 miles due to the route being a little more taxing than expected (and because I had a convenient bail-out option). The morning began with a beautiful early ascent of Seven Utes Mountain (11,453') from the Gould Community Center and a fantastic contour and descent into the serene and uber-picturesque Lake Agnes (10,663') at mile ~11. Pete and I have been bashing around these parts all summer and finally figured a great route into Agnes the weekend before on an old logging road. It pops out right at the cove (after some light bushwhacking), leaving a nice section of trail around the lake to get on the Ditch Trail. It was my first time on the next section up to and around the American Lakes and I have to say I was blown away at how stunning the bowl up there behind the Nokhu Crags is. This really is going to be a phenomenal race course. After a crewing snafu at Cameron Pass (and a 25 minute wait), I headed up North Diamond Peak (11,852' and high point on the course) at a strong push and enjoyed an almost windless ride along the carpet that is the Medicine Bow Ridge to the Montgomery Pass 4 x 4 road, enjoying more incredible views in the process. After bashing across the Yurt contour trail, I met up with Cam at Ruby Jewel Rd to knock out the stunning high alpine Hidden Valley section of the course, which at 10 slow miles is probably the crux of the route. I started bonking a bit on the descent off Kelly Lake and then really hit the wall heading up to the Clear Lake Spur, where Pete and Karla were waiting with water. Although I wanted to bail there, I forged on and ground my way up to Clear Lake (10,600') where I sat for quite some time, perched scenically under South Rawah Peak, trying to collect myself. On the descent I made the decision to bail so took the short way back to the northern trailhead meeting back up with Pete and Karla, followed two minutes later by Abby who had somehow managed to run a marathon while totally lost in the woods (long story). All in all, this was a fun morning, but man did I ever get my arse handed to me? This is a tough course. Crags early morning from the west near top of Seven Utes. Crags a couple hours later from American Lakes on the east side. 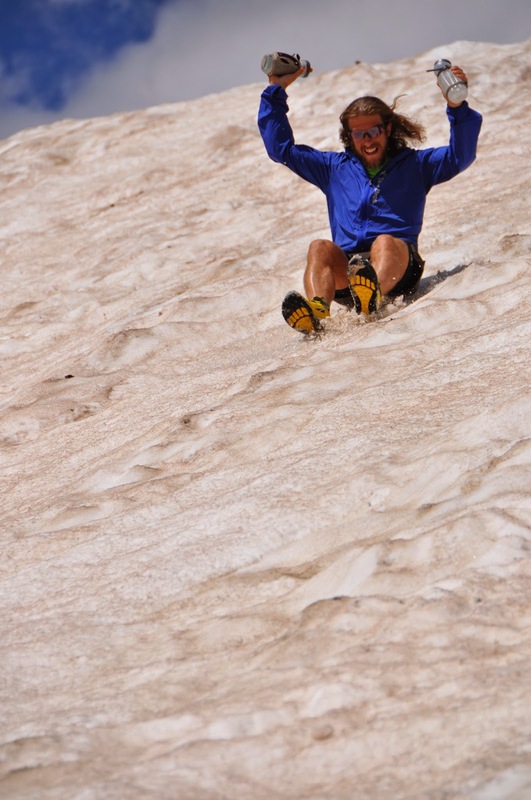 The carpet ride on the Medicine Bow ridge. 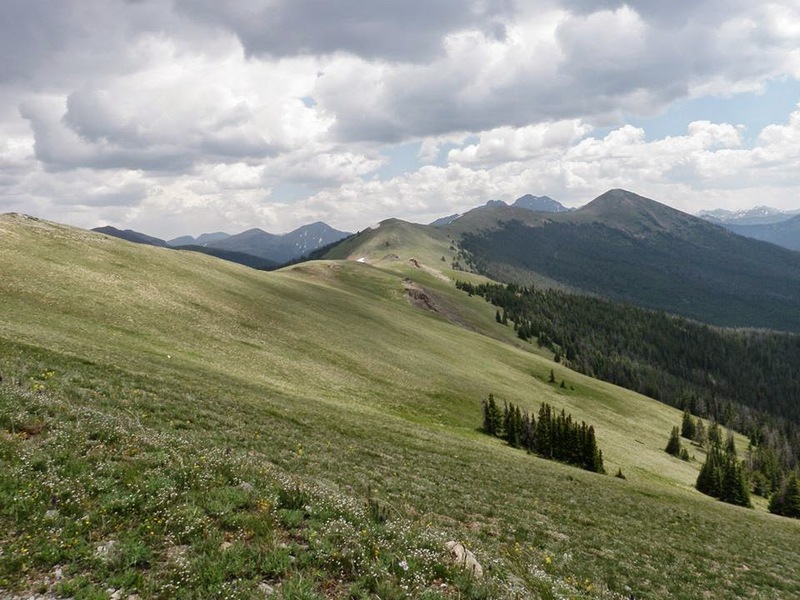 North Diamond (11,852') is the high point at the end of the ridge and the high point on the Never Summer 100km course. Overlooking Kelly Lake (10,805') in the Hidden Valley section of the course under the Medicine Bow Mountains. One of three moose sightings on the morning. Saw a flock (?) of big horn sheep at Kelly Lake too. Mon - 6 miles easy. Jogged out some recovery mileage on the valley trails. Tues - AM: 4 miles on the mill. Ran for half an hour on the mill at the Parker Lifetime Fitness where Abby works to conduct some metabolic testing. Ran at 100 mile effort with a contraption strapped to my face. The results show that my body is quite fat efficient, meaning that I burn mainly fat while at 100-mile effort and my calorie intake need only be in the 100 calorie per hour zone. This means I have been consuming way too many calories in the past, which may account for my stomach issues in recent races. Anyway, Abby and I are taking the information from this test and working on a nutrition plan for Steamboat. Fingers crossed. PM: 6 miles track. Workout was 1,200 open, the 8 x 400'. Again, tried to keep these under control to stave off any potential knee issues, but got a bit racy towards the end and re-tweeked the knee. Weds - 7 miles (1,800') super easy. Jog/hiked a summit of Horsetooth, babying my strapped knee in the process. Felt okay. Thurs - 5 miles (1,000') easy. 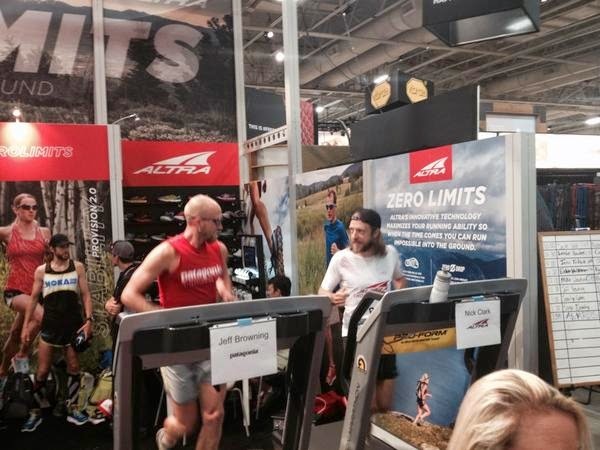 Drove out early to Salt Lake City to attend the Outdoor Retailer show with Altra. Got in around noon and headed out to Red Buttes for a few miles on the spiderweb out there. Fri - AM: 6 miles (1,200') easy. Jogged up to the 'living room' with Zac Marion and Zach Bitter from where we enjoyed the killer views of the Salt Lake Valley and Cottonwood Canyons. PM: 3 miles with 1.6 miles at 15% on the treadmill over the course of 15 minutes. I never run on the treadmill, but the OR uphill challenge marked my second visit to the mill of the week. Somewhat out of shape, I was predictably worked by this exercise in pain, cutting my speed as the run progressed. Paired up with Bronco Billy, we ended up in a dead heat. Major sweat fest. Warming up with Jeff Browning before setting it at 15%. Sat - 15 miles (2,500') easy. Super early start from the Upper Big Water trailhead with a bunch of Altra athletes for a super-fun tour of the Lake Desolation area of the Wasatch 100 course. It was so cool to see this area at a different time of day and while not completely exhausted. The Wasatch are just burly, burly mountains and I love getting up in 'em. Got some great beta from Craig Lloyd on some of the link-up opportunities in and around the area: one day. Sun - 21 miles (5,000') easy. Back home and strapped for time, I ran locally at Horsetooth and Lory, completing the classic double summit of Horsetooth and Arthurs. Been a while since I ran long on the home trails, so I was extra appreciative of the fantastic access that I have and which I typically take so much for granted. Mon - 7 miles (1,800') easy. Jogged out a nice easy summit of Horsetooth with John and Adam from Minnesota, who were on their way to Leadville to crew and pace my good friend Bob Gerenz who was getting ready to take his third crack at the classic 100 miler. About an hour PR for Bob as it turned out. Tues - 12 miles (4,000') easy. A nice light day at Rocky Mountain National Park with my good friends Takashi and Masa from Japan, both of whom helped crew me at Mout Fuji earlier in the year. Did the classic Flattop, Hallet, Otis and Andrews Glacier loop, while photo-shooting some stuff for a new apparel brand - Teton Bros - that Takashi has launched with a couple of partners in Japan. Tacked on East Glacier Knob at the end. Beautiful weather and just a fun, fun loop. Cruising around the Andrew's Galcier tarn. Me and Takashi heading down Otis on our way to Andrews Galcier. PM: 3 miles at the track. This was an emotional evening at the track, as we were there primarily to dedicate a beautiful bench to one of my biggest running inspirations, Jane Welzel. Workout was: 1,000 open, followed by a light 8 x 200, with runners sharpening for the Mountain Avenue Mile on Thursday. Took things nice and easy. On the Quada, Quada bench with the incomparable Jane Welzel. Weds - 7 miles (1,800') easy. Casual jaunt up the Tooth (133). Thurs - 8 miles easy and hard. Jogged out a few miles on the Blue Sky trail on my way into town, then ran a couple of laps on Mountain Avenue for the Mountain Avenue Mile. First up was the kids' race, where I paced Alistair to a 7:09 finish, then it was time for Beauty and the Beast (old farts) where I got a read on just how unfit I am currently, not even able to breach 5 minutes (5:07 - 73, 78, 78, 78); Oovay. Friday - 5 miles (2,000') hike. Up in Leadville to pace a couple people the next day, I hooked up with Abby to go bag Sheridan (13,748') before heading back into town to discuss pacing/crewing plans with Tony Stafford and then Mike Aish. 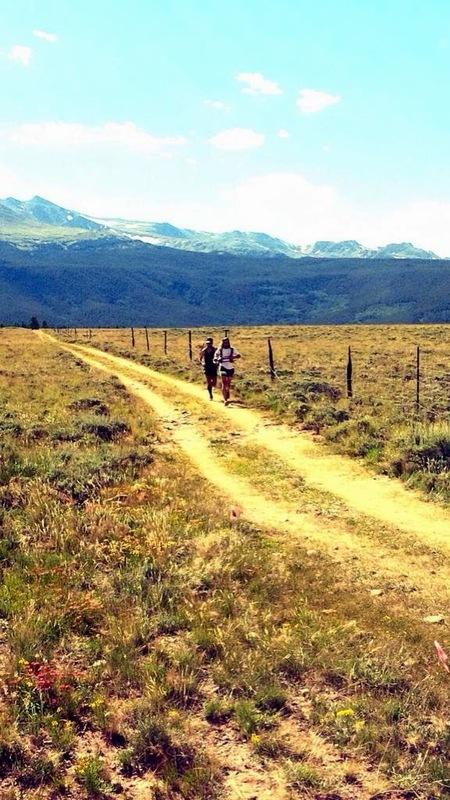 Saturday - 38 miles (~6,000') pacing at Leadville. Picked up Mike at Winfield and was pleasantly surprised at how well he ran the contour trail over to the base of Hope Pass. The climb up Hope was pretty good, although Mike started slowing significantly towards the top, and then markedly on the descent. He was complaining of sore knees and was moving really slow. Rob Krar went through a quarter of the way down and then Ian passed on the meadows into Twin Lakes - a 20 minute lead evaporated. I really thought Mike was done and buried, but after a quick shoe and sock change he was out of there. I dilly dallied getting stuff I needed and it took me a half mile to catch back up to Mike who, to my surprise, was marching up the hill to the Elbert TH with conviction. Once we hit the high point at the Elbert trailhead, Mike really started building a head of steam and by the forest roads he was really rolling to the point that I was now concerned he was moving too fast. I kept my mouth shut and we were soon passing a surprised Ian, putting mileage on him very quickly. Mike would stay on the gas until near the new field section into Outward Bound, where he suddenly pronounced a need to walk. Ughh, followed shortly thereafter by a gut emptying session in the meadow. I left him at Outward Bound thinking he was in trouble, but to his immense credit he rallied to the finish knocking out a hugely impressive 1:49 from May Queen to the finish for second overall, and easily the fastest closing split ever recorded. Breaking above the trees on Hope with Missouri Mountain behind. Rolling with less than 30 miles to go. Part two of my pacing gig came around four or five hours later. Tony was in a bit of trouble when I picked him up at Outward Bound as he just wasn't able to get calories in. The march up Powerline was slow, but we got there eventually. I ended up banging my toe pretty good on the Colorado Trail section so had to pull the plug at May Queen handing Tony off to Jim for the trudge through the night. Despite his troubles, and to his immense credit, Tony still finished in a respectable sub 26 hours on his first go at the distance. He'll be back to get that big buckle next year. On a side note, I have nothing but positive things to say about the race management this year. Clearly, those involved listened to the bitching from last year and got it spot on in 2014. Very well done! Sunday - Off. after 45 minutes of sleep I headed home early enough to beat the traffic. I wanted to get out and hike with the kids, but Alistair nixed all and any hiking plans so we went into town and got ice cream instead. It's been a very busy August, so I'm getting the mileage in where and when I can for Steamboat. I feel like I have a good nutrition plan figured out with Abby for the race, so I am hopeful that with an agreeable stomach I can more than make up for my current lack of fitness and register a decent finish. Time will tell on that. For those living under the shadow of Colorado's northern Front Range, there is one undisputed monarch that rises above them all. 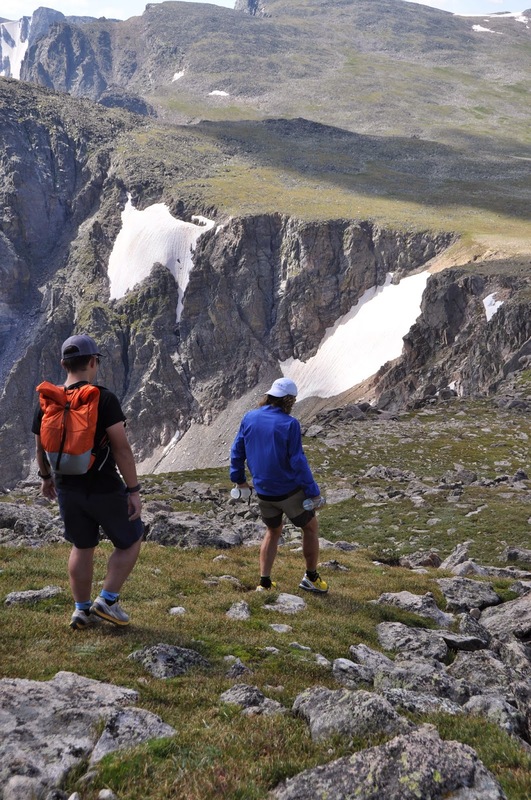 Sitting proudly at the center of the action in Rocky Mountain National Park, Longs Peak is visible from most towns in the northern foothills corridor, and from virtually everywhere on the immediate plains to the east. To the climber, the mountain offers a range of challenges of which few other peaks in the region can boast. Indeed there are over 100 established routes up the mountain. For the casual hiker, the mountain is a huge undertaking, taking an average of 12 hours car to car via the standard Keyhole route (used by probably 95 percent of those who summit every summer). For the more seasoned, there are enough non-technical scrambling routes to keep you on new terrain all summer long, and for the technically inclined the huge and imposing east face is legendary. And for the guy or gal who likes to start a watch at the bottom of a mountain, get up and down as quickly as possible, before getting on with the rest of their day, then the mountain offers that challenge too. 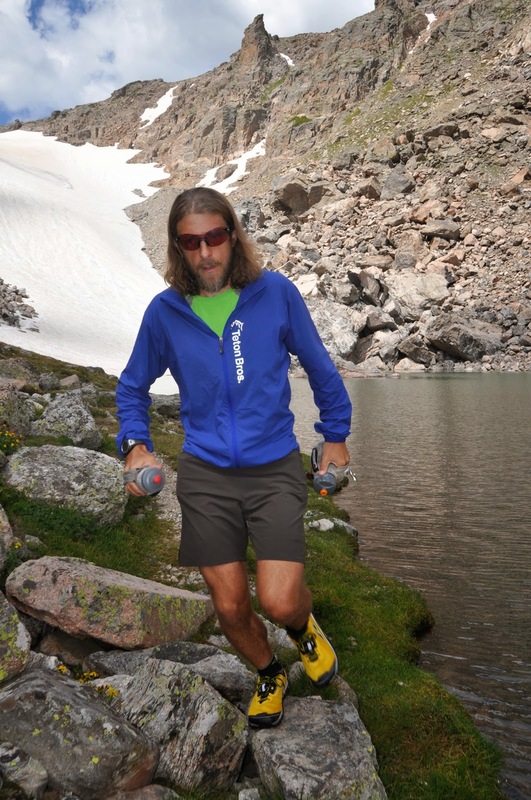 Andy Anderson's sub-two-hour best (1:56:46) is quite remarkable and requires the kind of intimate knowledge that one might expect from an RMNP climbing ranger; but even for those less versed in the intricacies of the mountain, a good degree of mountain-running fitness can have you up and down the peak quite comfortably in the four-to-five-hour range, closer to three at a good push. Then of course, there are the link-up opportunities that exist on and around the mountain, of which there is a reasonably long tradition. 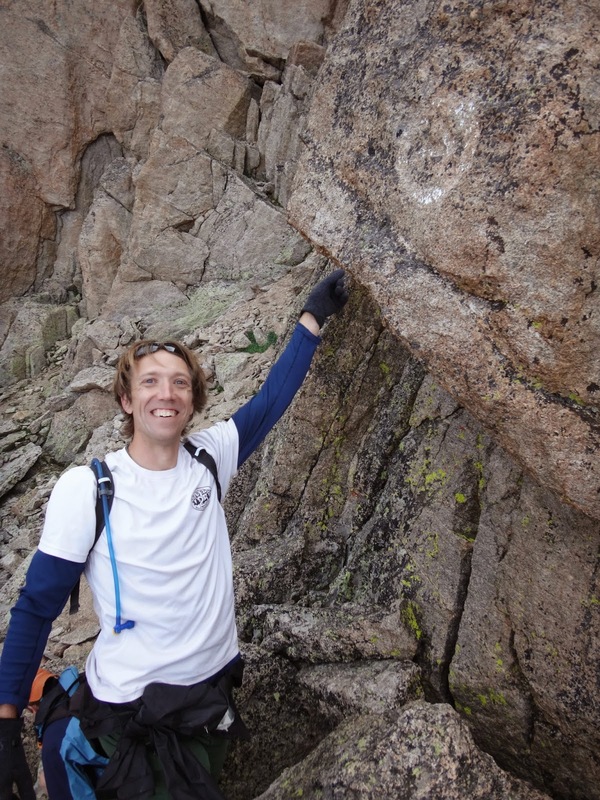 And it was in this spirit that I found myself at the East Longs trailhead at the crack of dawn on a recent Saturday morning with my neighbor and friend Elijah Flenner and his CSU colleague Jamie Nielson; both strong and experienced technical climbers. Elijah had floated the idea a couple days previously, stating a desire to complete the Longs Grand Slam in an efficient, yet non-time-obsessed manner. With the weekend still reasonably open, I was quick to respond in the affirmative, and then after a quick perusal of the intertubes I also suggested that if we were going to go out and do this, we might as well up the ante by tacking on Battle Mountain and Estes Cone, thereby completing the so-called Radical Slam: Mount Meeker, Longs Peak, Pagoda Mountain, Storm Peak, Mount Lady Washington, Battle Mountain and Estes Cone. Although I'm sure it's been done faster, Eric Lee's 9:18 from 2009 appeared to be the fastest publicly recorded effort. Somewhat coincidentally I had been on the mountain that day and we had crossed paths right under the Keyhole; Eric on his way to Storm and me on my way to the summit. Eric notes in his brief report that he essentially hiked the whole route and that he considered his time to be relatively 'soft'. Armed with that knowledge, I assumed a simple jog up to the start of the Loft and a strong hike the rest of the way would put us comfortably in the 7 to 8 hour range for the loop. As it turned out, however, our pace up to Chasm would be more strong hike than jog, as we would end up waiting for Jamie - more climber than runner - at points along the way. Nonetheless, we made good, steady progress up to Chasm and then up the scree and slabs of the Loft to the Meeker/Longs saddle. From there it was a quick and easy tag of Meeker, before descending back to the saddle for the traverse around to Kelplinger's Couloir and onto the Homestretch by way of Clark's Arrow. Elijah and I enjoyed the scene on top of Longs for 15-20 minutes as we waited for Jamie to summit, then quickly set off in the direction of Pagoda once the three of us were back together. The route to Pagoda from Longs descends the famed - and often hilarious - Homestretch and then drops off the main Longs route just before the Narrows section. To get to the saddle between the two mountains at the Keyboard of the Winds, there is a small cliff band to negotiate and I'm pretty sure we negotiated it in about as inefficient a manner as possible, choosing a small, wet and moderately technical gully to the left rather than heading down the easy ramps to the right. Pagoda itself is a big ole' mess of choss, but a simple walk-up nonetheless. Again, Elijah and I waited a good 15 minutes on top for a rapidly fading Jamie, and then the three of us took another five minutes to enjoy the huge 360 degree views of Longs, Wild Basin and Glacier Gorge from Pagoda. There are three or four spires that make up the so-called Keyboard of the Winds between Pagoda and Longs, and from the Pagoda summit it was a little unclear which ones would be the best to drop between in order to contour around and get back on the Ledges section of the standard Longs route at the base of the Trough. Predictably enough, we chose the wrong gully, lengthening our vertical accumulation for the day by a few hundred feet. For anybody reading this and looking for route info, the most expedient line is to use the gully between the two furthest spires as you look at them from Pagoda. Despite the poor route choice, we were soon traversing our way over to rejoin the bullseyes of the main route, this time on the Ledges section from the base of the Trough. Again, we waited a good 20 minutes for Jamie, now in full-on bonk mode. After a brief discussion Jamie urged us to continue on, while he made his way down via the standard route. I had it my head at this point that Eric's time was 8:18, not the actual 9:18 he had recorded, and a check of the watch showed that we were now 5:45 into our morning, so with four peaks left to tag and 2.5 hours to do it, we thought it unlikely that we'd duck under Eric's time. Not one to give up on a challenge though, I set a target of being on top of Mount Lady Washington, by way of the Keyhole and Storm Peak, within 45 minutes. We were on top of Storm exactly 20 minutes later, made quick work of the Boulder Field and hoofed hard on MLW, topping out 26 minutes after leaving Storm, 46 minutes after leaving the base of the Trough. The descent off MLW was tedious, the rock hopping now officially getting old, but our line was good and we hit the trail right at Granite Pass. For the two minutes that we were on trail, I managed to take my only spill of the day, before we were once again headed cross country for the nondescript summit of Battle Mountain. From the bump on the end of the Battle Mountain ridge, we had a good sight line of the bushwhack down to the Estes Cone saddle, and with 7:08 on the clock we dropped in with the sounds of thunder now echoing overhead. As bushwhacks go, this one was mercifully forgiving, with few downed trees to contend with through the reasonably sparse forest. We made the Battle/Longs saddle in reasonably short order and were soon forging our way up Estes Cone, the final peak of the morning with rain jackets on while being pelted with hail. We approached the rocky, just-above-timberline pinnacle of the mountain somewhat nervously, thunder and lightening still rocking the general vicinity. With 7:55 now on the watch, and with four miles left to cover, albeit on trail, it was obvious that we weren't going to better our 8:18 target time, so we casually jogged out the final trail miles, getting back to the trailhead 8:32:23 after we had left. 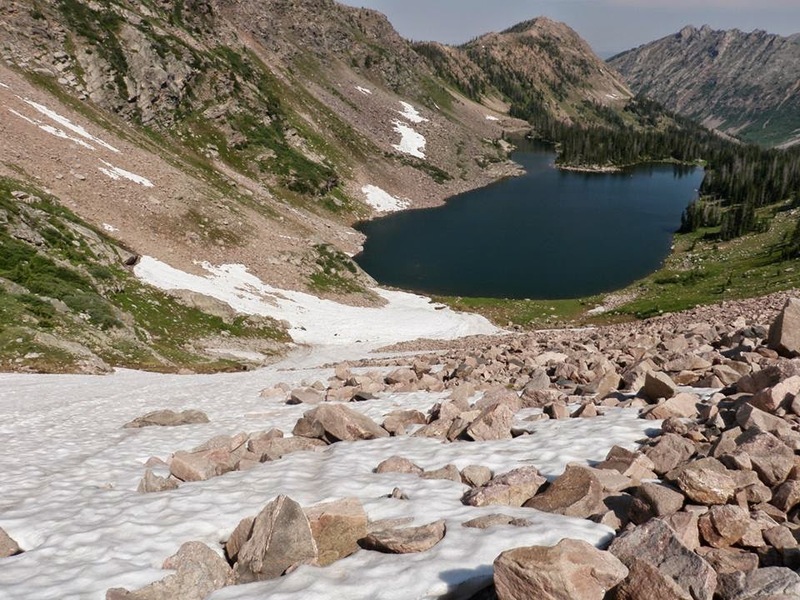 The Radical Slam route was first outlined by Gerry Roach in his guide to Colorado's 14,000 foot peaks, and his description reportedly includes a trailhead 50 push-up finale. Playing it by the book, Elijah got his upper body workout in, while I sat on a bench and laughed at him - not in the slightest bit interested, or perhaps able, of making a spectacle of myself at the crowded trailhead. It wasn't until the next day, when I re-read Eric's report that I realized that I'd had the wrong time in my head all day, so there you go a new interweb FKT. This includes probably an hour and a half of non-moving time and a reasonably mellow effort for much of the morning. I'm pretty sure a motivated, capable and fit individual could take this down toward six hours quite easily, but for now the placeholder is 8:32. This week was mainly jogging, with one easy summit of Horsetooth, a lap in the Leppy Hills outside the Nevada-Utah border casino town of West Wendover, and a couple of trail jogs close to home, before the Western States implosion on the weekend. Fri - 4 miles (1,200') hike. North Diamond Peak with the kids. We were hailed and rained on for an hour or so while trying to cook at the campsite, and then we were rewarded. Alistair posing at a small creek confluence on the way up to North Diamond. North Diamond with Never Summers behind. Summit (11,852'). Northern Never Summers beyond Cameron Pass. Followed the drainage back to Cameron Pass. Sat - 3 miles (500') hike. 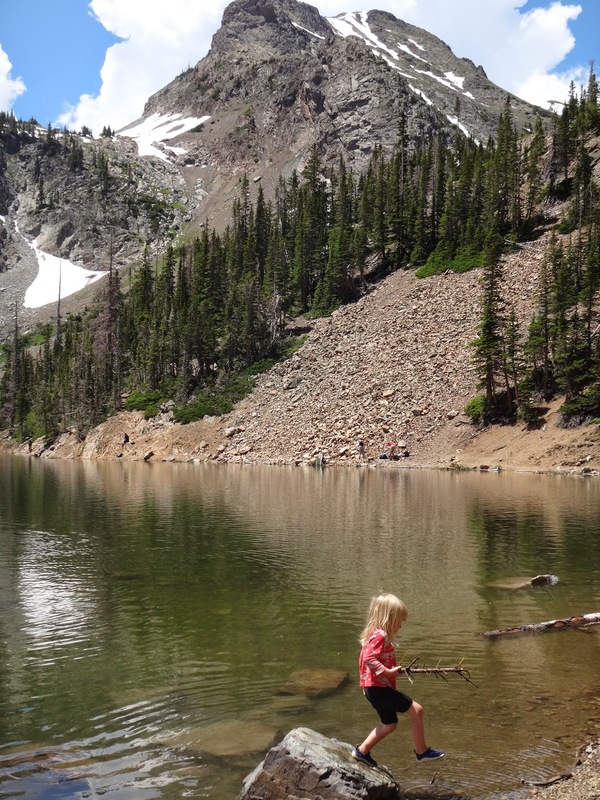 Lake Agnes with the kids. Sun - 5 miles (1,700') hike. Met Abby at the Conocco on Hwy 34 and headed out to the flood-ravaged town of Glen Haven on Devil's Gulch road to set about bagging West Crosier (9,020'), a Larimer ranked peak. Hiked the main trail from Glen Haven to Piper Meadows then cut off trail through the meadow for the W.Crosier summit. Missed the summit a bit to the north, so followed the ridge south to gain the true summit. Not surprisingly, the summit register contained familiar Lists of John names and not many others. Really no reason to visit this peak other than to tick it off the list. The views of the Estes Valley and the Continental Divide from the much-more-visited Crosier proper are much better, but that said the views of Crosier from West Crosier were unique, I guess. It was an easy schwack back to the meadow and trail. Fun morning and first LoJ nonsense peak in quite some time. Fri - 5 miles (1,500') hike. Horsetooth summit. Sat - 3.5 mile (1,000') hike. Arthurs Rock with the kids. Top Arthurs. Seriously, we had fun. Mon - Wed: In NYC for work. Brought no running gear. Thurs - AM: 8 miles (1,200') easy. Trail jog with Lee and Marie on Valley - Sawmill - Carey - Towers, from Bluesky. PM: 9 miles (2,000') hill tempo. Towers in 33 mins. Back at it. Man, I'm out of shape. Great turnout, including local reporter Stephen Meyers. A Towers article in the Coloradoan. Fri - 13 miles (3,200') easy. 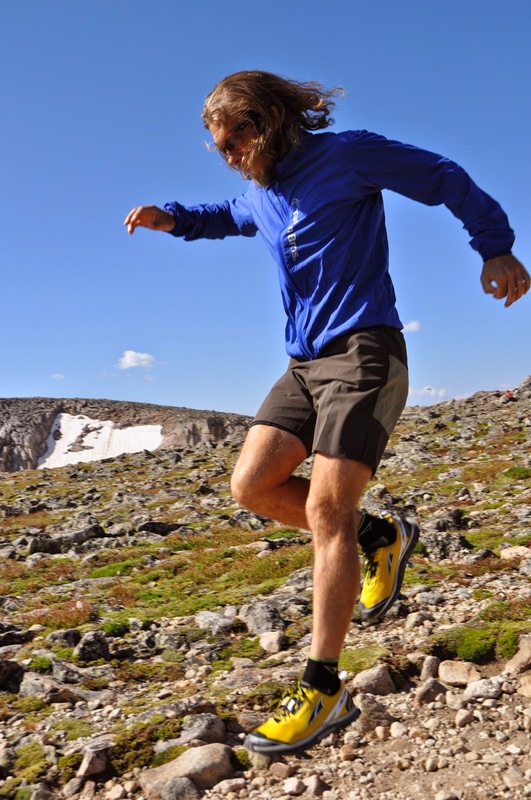 First section of the Never Summer 100km course with Mike H, including a summit of Seven Utes (11,453') and a visit to Lake Agnes, finishing up at Cameron Pass via the Ditch trail. Approaching the summit of Seven Utes, the Nokhu Crags appear over the Shoulder of Braddock. Silver Creek Trail runs the verdant hillside, before dropping into Lake Agnes: miles 7 - 11 of the Never Summer 100km course. Mike heading north on the Silver Creek Trail, taking in the Medicine Bows to the north. Richthofen and Static from Silver Creek. Other side of the Crags below Michigan Lakes. Photo: Pete Stevenson. Sat - 22 miles (5,600') easy. Starting at Cameron, where we left off the day before, Mike and I met up with Chad and Cam to take on the next section of the course, beginning with a hoof up North Diamond Peak (11,852') - the high point on the course - followed by a couple of gorgeous miles cruising the carpeted ridge to the descent on the Montgomery Pass Rd. 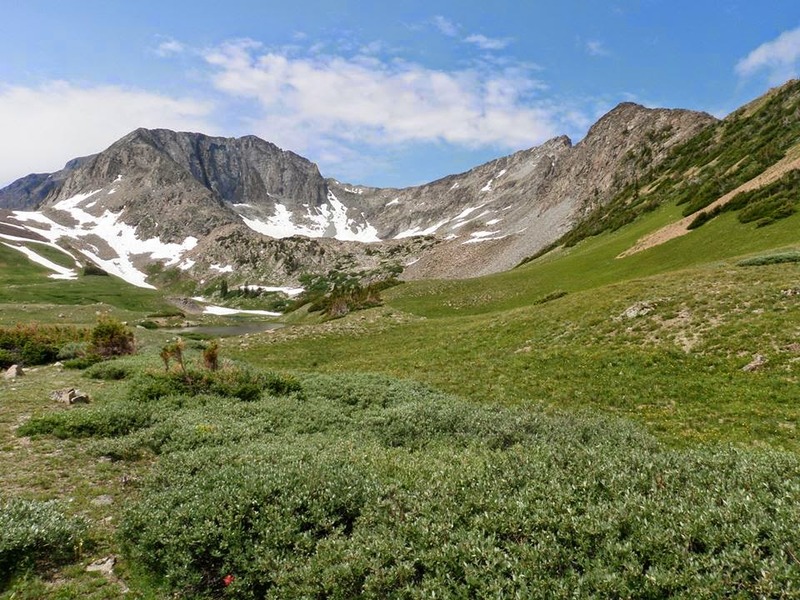 Mike and I continued on together from there, whacking our way across the southern Yurt Trail, before hoofing up Ruby Jewel to the beautiful alpine setting in Hidden Valley where we enjoyed the big mountain views surrounding Kelly Lake (10,805'). Short on water and calories, we turned back returning to the campsite via Ruby Jewel and Lumberjack. Great mileage, but I was definitely feeling this one as my first proper long run back from Western States. Looking back at the Medicine Bow Traverse, before dropping off to the west. Photo: Hinterberg. Hinterberg selfie on the Yurt trail traverse. Kelly Lake in Hidden Valley. Karen Smidt cruising above Kelly lake. Photo: Marie-Helene Faurie. 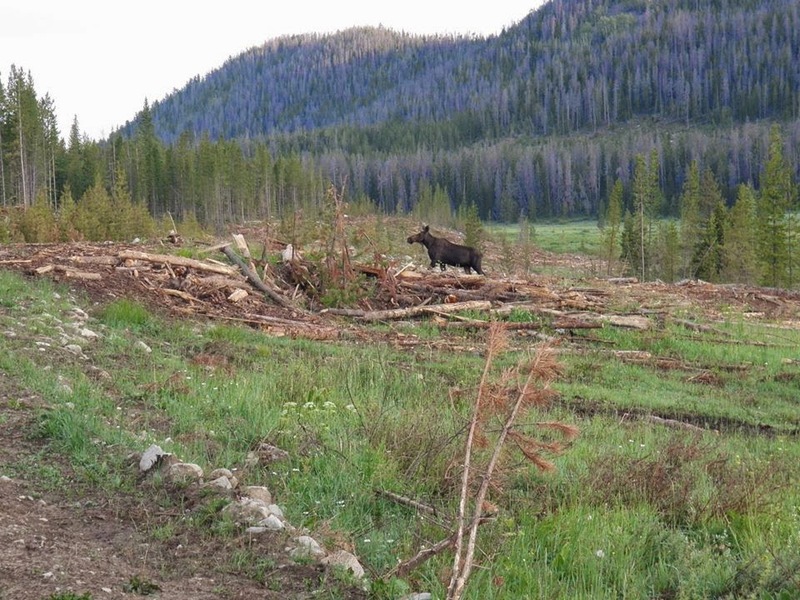 Moose everywhere in State Forest. Photo: Pete Stevenson. Sun - 6.5 miles (1,000') easy. Jogged the last few miles of the course with Pete and Cam from the Bockman campground to Ranger Lakes via the Gould Mountain saddle. This capped a great weekend camping with family and friends in State Forest State Park previewing the Never Summer 100km course. Mon - 10 miles (2,500') easy. Slogged on Horsetooth - Westridge - Spring Creek. My legs were so dead on this run I almost bagged it after 10 minutes. Forged on and finally enjoyed a fluid descent of Spring Creek some six miles in. Tues - AM: 7 miles (1,600') easy. Horsetooth summit. Legs were much more responsive today. PM: 5.5 miles progression. Skipped the track in favor of a short progression run on the Valley trails. Oi, need to work on fitness. Weds - 7 miles (1,600') easy. Really easy summit of Horsetooth. Thurs - 10 miles (3,200') hill repeats. Lee put out the call for a Horsetooth Hills workout, and as much as I didn't want to do this, I knew I needed to start working on some fitness. The workout goes: 3 x 1/4, 2 x 1/2, 1 x 3/4, 1 x mile (capped with a Horsetooth summit) on an average grade of about 15%. I hit these at about 80% effort, but it was still grueling. There's a reason I don't do this workout much more than twice a year; it's just a rude way to start the day. Splits were a good 20-30 seconds off (per quarter) from what I usually do on this workout: 3:10, 3:00, 3:01, 5:59, 5:55, 8:55, 12:22. PM: 8 miles (1,300') easy. 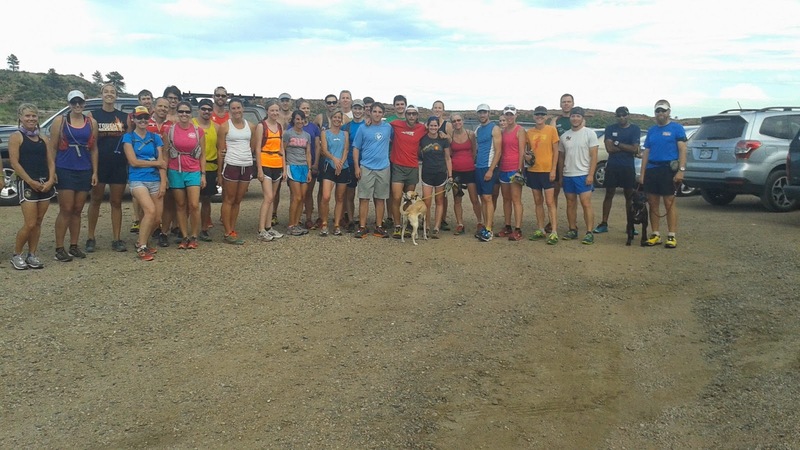 Black Squirrel training run and Altra shoe demo from the Arthurs Rock trailhead in Lory. Great turnout for this run, with an opportunity to demo the new Lone Peak 2.0s, Olympus and Torins. At the Arthurs Rock TH. Fri - 5 miles (1,500') easy. Jogged out a very easy lap on Horsetooth as recovery from Thurs and in preparation for a big day on Longs. Sat - 18 miles (8,000') hoofing. Radical Slam with Elijah and Jamie. More on this in a separate post, but the gist is this: Mount Meeker (13,911'), Longs Peak (14,256'), Pagoda Mountain (13,497'), Storm Peak (13,326'), Mount Lady Washington (13,281'), Battle Mountain (12,044'), Estes Cone (11,006'). Longs is a great peak, but man is there a lot of choss on the massif. A lot of rocks, a lot of peaks and just a really fun morning in the park. 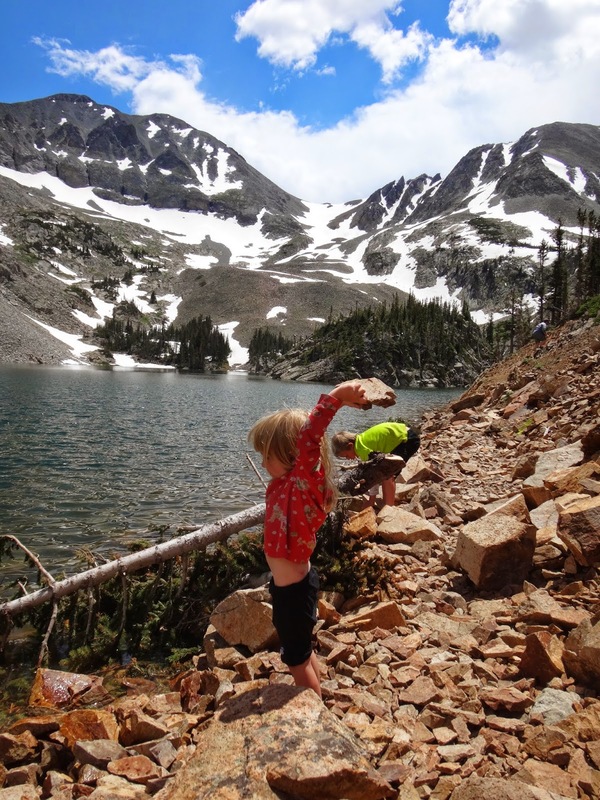 Elijah finds the elusive Clark's Arrow on the way to Longs and the Keplinger Couloir. Longs, Palisades, Loft and Meeker from Pagoda. Sun - 9 miles (1,200') easy. Headed up to Cameron pass with Pete and worked on the Seven Utes to Agnes section of the Never Summer 100km course. Laid a bunch of cairns to clarify the route from Seven Utes to the Silver Creek trail, then did some trail maintenance on the rough logging road section from Braddock to Agnes. We've got the route pretty much 100% dialed now, and believe that we have the best course possible within the confines of State Forest State Park. It's been a blast figuring out the maze of unmapped (and often overgrown) logging roads, trails, and off-trail connectors; and what we've ended up with is - we think - a fantastic full loop tour of some amazing terrain in the Never Summer and Medicine Bow Mountains. Permits are pending, but we have the verbal thumbs up from the head ranger who seems super pumped about bringing a major trail race to the park. July 25, 2015: mark you calendars. 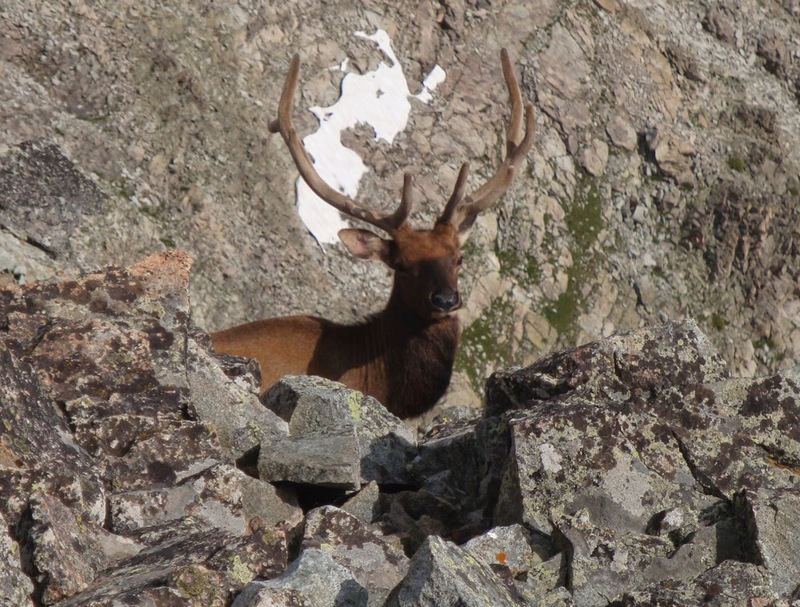 Meanwhile, Cam found a 5x5 bull elk on top of Static (12,571')! Say what! Never Summers are wild, man. Photo: Cam Cross. An Elk on the Static Ridge, looking north to Nokhu Crags, with Snow Lake below. Crazy pic: Cam Cross.